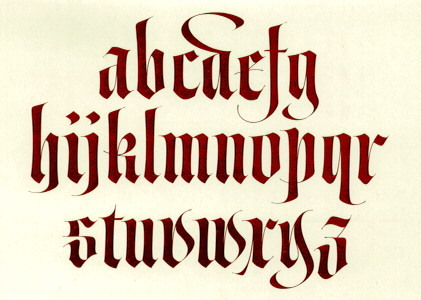 Gothic was a popular medieval calligraphy. 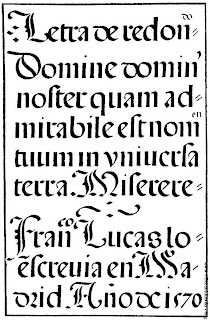 It was also called Blackletter for the dark appearance of a written page. 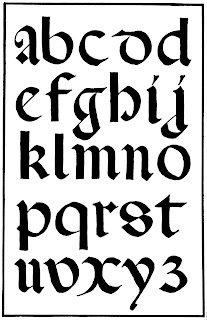 The letters are square in shape, and are written at a 45 degree angle. 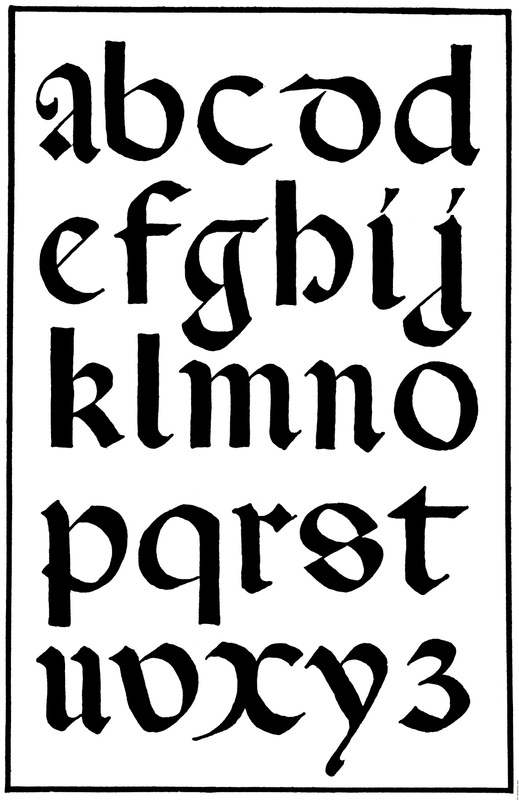 Click on the photo for a larger image of the Gothic alphabet. 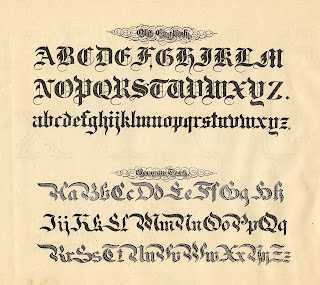 Try copying the simpler lowercase letters, then move on to the more elaborate uppercase letters. 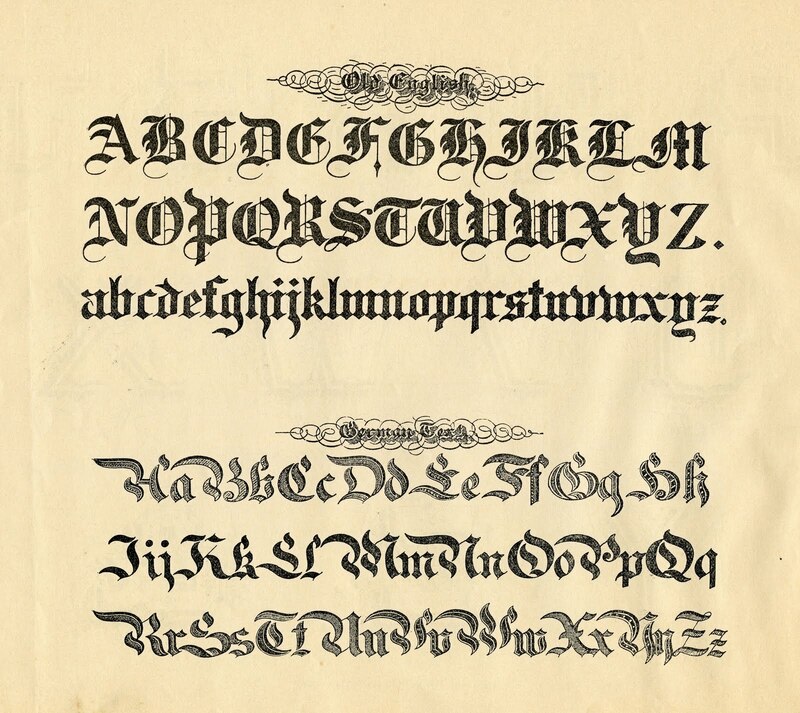 Make sure to use a 45 degree pen angle. Try writing your name, squeezing the letters close enough together that you could fit just one pen stroke between them. 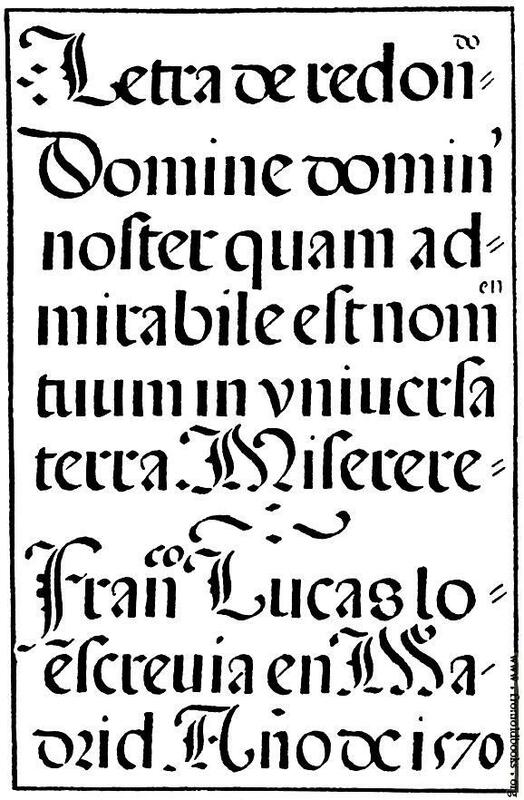 This technique was used by monks copying manuscripts, in order to save parchment.